Avatree’s Custom Studio has expanded its retail offering by designing and building beautiful, high end and functional Visual Merchandising (VM) cabinets to the retail sector. 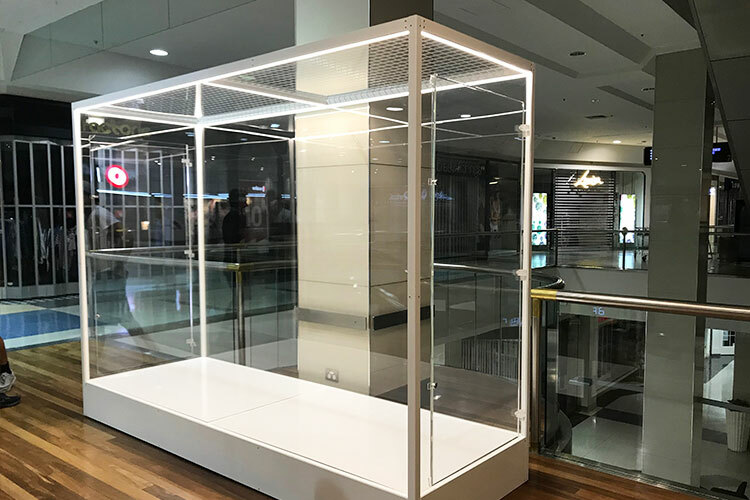 Custom designed and built to work within the challenges of shopping centre access, Avatree’s VM cabinets are constructed from the highest quality materials of polycarbonates, acrylic, stainless steel and powder coated finishes. Cabinets are mounted on 360 degree casters and can be easily wheeled from one location to another. Notably, Avatree’s VM cabinets are also designed and built to allow VM designers easy access and working room while maximising the customer’s viewing area. Each cabinet features diffused warm white LED strip lighting to focus downward ensuring promotions are beautifully illuminated at all times. Avatree’s custom VM cabinets have been designed and built in wide span rectangular form, three piece modular cabinets and square open span displays - but there are no limits in our studio - so get in touch with your ideas.